It's our first post of 2019 here on MST3K.com, and we're keeping it simple to start the year. In honor of going through The Gauntlet yet again, we'd like to take a moment to recognize the tasty, nutritious and very filling food product that we now spread on all of our bread and pastries: Bull Butter. 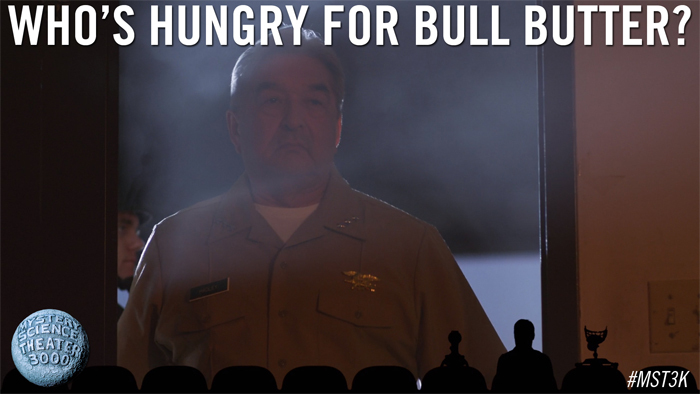 It's the only way we can get through Atlantic Rim and have the sustenance to continue with episode 3 of The Gauntlet.